Enterprise Fitness resident functional health practitioner, Kristine Ottobre recently wrote an article on all things asthma. Kristine goes into depth about asthma, what it is and how it affects exercise. Being in the fitness industry a common complaint I hear is client’s experiencing exercise induced asthma or increased asthma symptoms from seasonal changes that is affecting their ability to exercise. 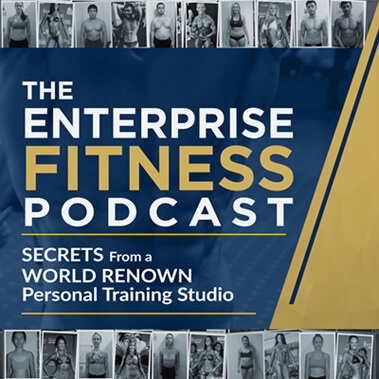 If you are one of those people, as the Enterprise Fitness Functional Health Practitioner, I’ve made it my business to provide you with some natural health solutions that are backed by research. You can practically incorporate these into your lifestyle to decrease asthmatic symptoms so you can continue training ‘full steam ahead’ (as my two year old Max says ☺). Asthma is characterised as a chronic inflammatory disorder of the bronchial airways that causes increased mucous production and hyper-responsiveness of the airways resulting in decreased airflow. This results in symptoms of wheezing, coughing and shortness and breath. Asthma can be caused from allergies to the environment, such as dust mites, dogs and cats or pollen and seasonal changes. It can also be caused from viruses, funghi, heavy metals, or an emotional response to a stressful situation or triggered from foods that produce IgE antibodies from an allergic response. Asthma is driven by an imbalance of inflammatory mediators and the immune system. While conventional medicine offer steroids as a first line of treatment in asthma sufferers, there has been evidence-based research to show the effectiveness of moderating diet and lifestyle and including nutritional supplementation to decrease oxidative stress in the body, which decreases the development of asthma as well as the exacerbation of asthma attacks (Greiger, Wood & Clifton, 2014). Have a diet high in antioxidants: Studies have shows that a diet low in antioxidants increase the prevalence in asthma. Antioxidants produce a protective factor for wheezing and lowers the incidence of ‘asthma attacks’. Particular foods to include would be fruits and vegetables that are high in Vitamin A, C, E and flavonoids (Grieger et al, 2014). Vitamin A protects and maintains the mucous membranes, which line the respiratory airway. Vitamin A also helps to down regulate oxidative stress by helping to mediate the immune response. A comparative study presented evidence of subjects that included 2 pieces of fruit and 5 pieces of vegetables per day had a lower incidence of asthma exacerbations in comparison to the subjects that included no or limited fruit and vegetables into their diet (Grieger et al, 2014). Foods that are high in Vitamin A include sweet potato, carrots, pumpkin and berries, liver and eggs. Vitamin C (ascorbic acid) is an antioxidant found in fruits and vegetables. It has been shown to play an anti inflammatory role by reducing C- Reactive Protein (CRP) in people with an elevated CRP levels. Vitamin C also decreases free radical production, which decreases airway responsiveness. Epidemiological studies of Vitamin C intake have also shown an increase in forced vital capacity as Vitamin C levels increase from supplementation. Studies on exercise-induced asthma have shown ascorbic acid to improve bronchodilation during exercise (Miller, 2001). Vitamin D: This nutrient is important for maintenance of general immune and respiratory health. Vitamin D deficiency has been associated with increased airway hyper responsiveness, steroid resistance and asthma exacerbations. This occurs through the inability to regulate inflammatory markers secondary to vitamin D deficiency. Research has also shown that Vitamin D can help to control sensitivity to allergens. Our main source of Vitamin D is the sun. Other dietary sources include tuna, salmon and mackerel, egg yolks and liver (Hollams et al, 2011). 2. Supplement with Magnesium: Magnesium is a cofactor in over 300 biochemical processes in the body. It works together with calcium to regulate the contraction and relaxation of smooth muscle. As it is a calcium antagonist it relaxes airways and smooth muscle and dilates the lungs. Magnesium reduces airway inflammation and inhibits chemicals that initiate spasm. Magnesium also increases nitric oxide, which is an anti-inflammatory and promotes dilation, which would help to relax the airways (Dean, 2010). Low magnesium is commonly seen in people with asthma. Studies have shown low red blood cell magnesium correlated with increased airway hyper responsiveness and exacerbation of asthma attacks. Intravenous magnesium sulphate is often used in the emergency department in hospitals for severe asthma attacks as well as management for chronic obstructive airway disease (Dean, 2010). Dietary sources of magnesium include leafy greens, nuts, seeds, raw cacao and some grains. 3. Eliminate potential food allergens: Food allergies and asthma commonly coexist so elimination of potential food allergens is important in the management and prevention of asthma. Foods to exclude are those that are commonly known allergen or contain histamines or salicylates. These would be cows milk, chocolate, soy, corn, wheat, coffee and foods that are processed and have food colourings, MSG or other preservatives in them. It is also important to assess the gut integrity and ensure adequate hydrochloric acid in the gut for good digestion and absorption of foods, which helps to decrease the incidence of inflammation (Hetchman, 2014). 4. Include Fish and Omega 3 supplements: Omega-3 fatty acids, docosahexaenoic acid (DHA) and eicosapentaenoic acid (EPA), are naturally found in fish oil. These nutrients are anti-inflammatory and have shown to have protective effects in inflammatory disease. There have been studies that show that women that supplement with fish oil while pregnant or breastfeeding and children that regularly eat fish have a lower risk of developing asthma and fewer asthma attacks in those that do have asthma (Miyata & Makoto, 2015). 5. Supplement with B Vitamins: Studies have shown B vitamins to reduce the frequency and severity of asthma as B vitamins have a inhibitory effect on histamine release as well as helping to mediate the inflammatory response (Hetchman, 2014). 6. Include Herbs suggested by your naturopath: Herbal Medicine uses herbs with demulcent and anti-inflammatory actions that reduce irritation and soothe inflamed bronchi. These anti-allergenic herbs reduce airway sensitivity and decrease the allergic response to triggered allergens such as carpet and pollen while bronchodilators reduce broncoconstriction and spasm. Some of the commonly used antiallergenic herbs include Tylophora and Coleus. Demulcent herbs that have a soothing effect would include Marshmallow (Althaea officinalis) and Liquorice. Quercetain is a flavonoid that is commonly used for its anti-inflammatory activity. It inhibits release of histamine and pro inflammatory enzymes (Huntly & Ernst, 2000). While there are various sources of supplementation and herbs we can incorporate to decrease the symptoms of asthma, remembering that simply changing the diet to include more nutritious and whole foods will get you closer to your results. If you are feeling overwhelmed with the information given start with excluding one food per week and replacing it with a food suggested from the list. For example, taking out your chocolate bar for lunch and replacing it with an orange. Each week change something until you have comfortably changed your dietary intake to include better sources as well as including the supplements and herbs suggested to you. Keep a diary of ‘if and when’ an asthma attacks occurs and see if you can see a pattern of what may have precipitated it and if nutritional intake played a role. out for your personal program, I’m happy to work with you and show you how. Grieger, J.A, Wood, L.G & Clifton, V.L. (2014). Antioxidant-rich dietary intervention for improving asthma control in pregnancies complicated by asthma: study protocol for a randomized controlled trial. Trials Journal, 15(108), 2-9. Hechtman, L. (2014). The Respiratory System: Asthma. Clinical Naturopathic Medicine. Page 476. Australia: Elsevier. Hollams, E. M. et al. “Vitamin D And Atopy And Asthma Phenotypes In Children: A Longitudinal Cohort Study”. European Respiratory Journal 38.6 (2011): 1320-1327. Web. 21 Apr. 2017.